If you’re willing to invest in your health with the challenge of daily exercise, why not look for healthier, low sugar sports drinks too? It takes effort to take care of your body and live a healthy life. 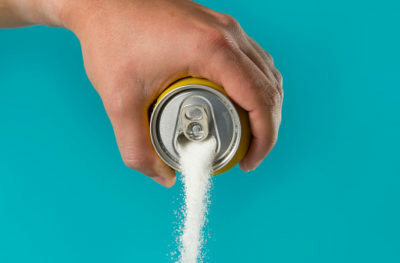 Your sports drinks should not only restore the nutrients your body needs, they should also taste great without the massive amount of sugar found in most brands. For diabetics, it’s not only helpful but necessary to reduce sugar intake. According to the new Physical Activity Guidelines (published by the Department of Health and Human Services), adults should engage in at least 2.5 hours of moderate intensity aerobic activity per week, while children should have at least one hour of daily activity. To meet these numbers, it helps to have a sports drink that rehydrates and replenishes the body. With Hydro One, there’s no need to sacrifice for a great tasting, healthy sports drink. Our BÖDE sports drinks are made with all-natural ingredients for people seeking a healthier lifestyle. They’re low-calorie beverages that are not only very low in sugar, they restore electrolytes, carbs and other nutrients after a workout. We manufacture our sports drinks to specifically address certain health issues, such as diabetes, arthritis, kidney disease and more. For diabetics and others looking for a completely sugar-free drink, we offer REVd drinks, designed by our scientists with help from a professional athlete. REVd drinks are made with a purified form of cinnamon extract and offer great taste from a sugar-free drink, while still providing all the vitamins and nutrients you need. At Hydro One, our mission is to offer all-natural and low-calorie beverages that promote a healthier lifestyle. When you try Hydro One, you’ll see that there’s no need to sacrifice great taste for great health.